The Supreme Court have given a ruling in the case concerning whether wheelchair passengers have a right over able bodied bus passengers. First Bus have issued the following press release. “We welcome today’s decision from the Supreme Court. “It has ruled that bus drivers are not required to remove customers from vehicles, which was a key issue for us. This provides welcome clarity for bus operators, our drivers and our customers. “This was clearly a difficult case for the Supreme Court with six different judgments, and we look forward to receiving further clarity around the decision when the Court publishes its Order. In response, we will implement any necessary changes. A disabled man has won a Supreme Court case after a dispute with a woman with a buggy over wheelchair space on a bus. 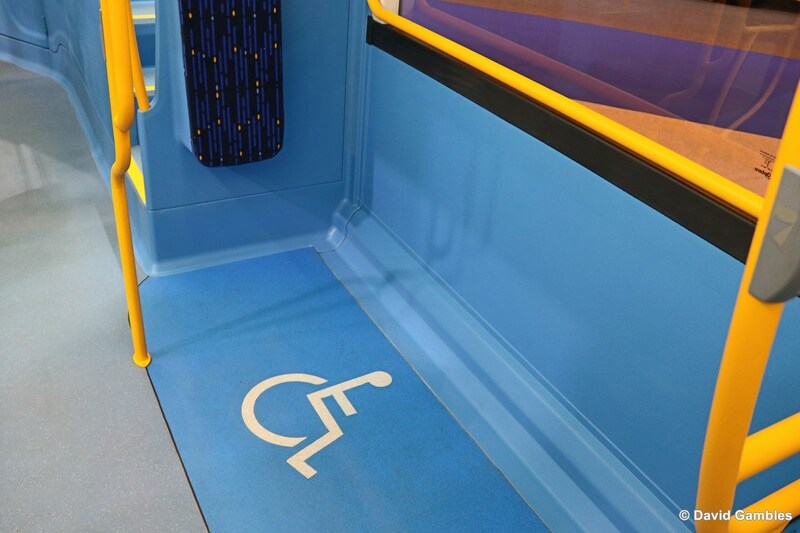 It means bus drivers will have to do more to accommodate wheelchair users. Wheelchair user Doug Paulley brought his case after he was refused entry to a FirstGroup bus in 2012, when a mother with a pushchair refused to move. First Bus said the ruling meant drivers would not have to remove customers from its vehicles, while Mr Paulley said the ruling would make "a major difference". The court said the company should consider further steps to persuade non-wheelchair users to move, without making it a legal duty to move them. It ruled that FirstGroup's policy of requiring a driver to simply request a non-wheelchair user to vacate the space without taking any further steps was unjustified. However, the judgement fell short of making it a legal requirement for bus companies to compel non-wheelchair passengers to move from the space. Welcoming the ruling, the company said bus drivers would not have to remove customers from buses, which it said was "a key issue for us". The firm said it was pleased the Supreme Court found it did not discriminate against Mr Paulley. Disability charity Scope said the ruling was "an important milestone". Penny Mordaunt, the Minister for Disabled People, Work and Health, said she would be talking to the Department for Transport about "clarity, good practice and the powers of transport providers to ensure this ruling becomes a reality". Wheelchairs or pushchairs: Who should take priority? The case was triggered when Mr Paulley, from Wetherby, West Yorkshire, attempted to board a bus operated by FirstGroup which had a sign saying: "Please give up this space if needed for a wheelchair user." He had argued FirstGroup's "requesting, not requiring" policy was discriminatory. So, different views of the verdict. Who is right? Can you ever imagine the scenario of passengers being ejected from a bus to allow a wheelchair passenger to board. Would it be a case of last on - first off? Would the driver issue ticket refunds to those being asked to leave? The ruling hasn't clarified anything. Why did the BBC say "disabled man has won a Supreme Court case" when obviously he hasn't? More questions. How much has this ruling cost? Have the judges ever travelled on busy buses?